A wistful examination of self-discovery and first love, Luca Guadagnino's Call Me By Your Name is an uncommonly affecting portrait of bittersweet romance captured through aching cinematic form. A strong video and audio presentation help to further bolster the package, along with some very worthwhile supplements. Highly Recommended. "Is it better to speak or to die?" Love and pain are irrevocably linked. To truly open oneself up to passion, also means laying oneself bare to potential heartbreak. This level of genuine vulnerability and emotional risk is part of what makes our most meaningful relationships so impactful, elevating their joys while making the possibility of their sudden loss all the more devastating. Luca Guadagnino's Call Me By Your Name intimately examines this beautifully delicate dichotomy, weaving a deeply affecting coming of age story steeped in the oscillating ecstasy and fragility of first love. Based on André Aciman's novel of the same name, the story takes place in the 1980s and focuses on Elio (Timothée Chalamet), a precocious 17-year-old who lives with his parents in Italy. Needing a research assistant, Elio's father (Michael Stuhlbarg) hires an American grad student, Oliver (Armie Hammer), to help him with his work. 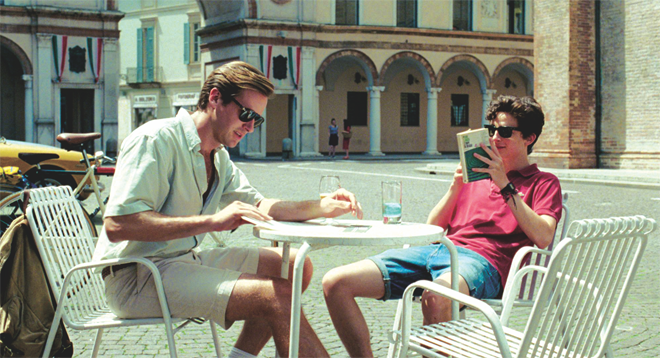 While living with the family for the summer, Oliver develops an initially contentious friendship with Elio, but soon their connection starts to evolve in unexpected ways. As Elio explores his burgeoning sexual identity, the two men open themselves up to romance. When we first meet Elio and Oliver, their interactions together are mostly inconsequential, with little hint of what will eventually unfold. Gradually, however, we start to see a curiosity in Elio toward the older man which slowly forms into a genuine longing and infatuation, initially masked by prickly antagonism. Palpable tension soon starts to delicately mount beneath the surface of their scenes together, layering escalating emotional subtext under otherwise innocuous conversations and outings. It's clear that something is forming between them, but the attraction remains completely unspoken. Until it's not. The manner in which the director and performers handle this central relationship is quite powerful, creating an effortlessly natural, lived-in quality to the characters that makes their coupling feel so intimate and honest. Hammer conveys Oliver's outward confidence with charm, but it becomes clear that this surface bravado really only hides his fear of letting anyone in too close. For his part, Chalamet is equally convincing as Elio, fully selling the character's confusion, insecurities, misplaced aggression, and surprising courage. That latter attribute is conveyed brilliantly in one particularly important sequence, with Guadagnino using camera movement, composition, and blocking to enhance the shifting dynamics between the two characters. As Elio begins to bravely confess his feelings to Oliver, the director captures the moment in one extended take, reinforcing the pair's figurative disconnect by physically having Elio in the foreground and Oliver in the distant background of the shot, both circling a war memorial. By the time Oliver realizes exactly what he's being told, the characters have come back together on the other side of the statue, united not just in proximity, but also understanding. Though they volley the upper hand a bit between themselves as they sort out their attraction, once they both surrender themselves fully to their feelings, they appear to become equals. Of course, that point is certainly open to debate. As beautifully affecting as the movie is, some controversy has understandably arisen around the age gap between the two characters. Or, not so much the actual gap per say, but rather the particular moral ambiguity of a 24-year-old engaging in a relationship with a 17-year-old. It's a highly contentious topic, one that exceeds the scope of this review, but there have been some interesting pieces written about the subject, including a very even-handed article from Slate, which more or less sums up my feelings on the matter. "Tis better to have loved and lost than never to have loved at all." At its core, that's really all Call Me By Your Name is about, but despite how potentially trite that underlying theme might seem, the movie manages to approach this subject with a rare level of sensitivity and cinematic power. Uncommonly poignant in execution, the film uses the story of one young man's sexual and romantic awakening to illuminate a larger universal and achingly human experience, giving visual form to the ephemeral joys and sorrows of first love -- to intangible emotions best brooded upon by a warm, flickering light. 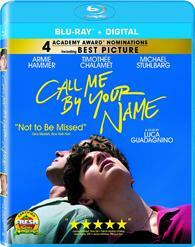 Sony presents Call Me By Your Name on a BD-50 Blu-ray disc housed in a standard keepcase. Instructions for a MoviesAnywhere Digital Copy are included inside. After some skippable trailers, the disc transitions to a standard menu. The packaging indicates that the release is region A, B, and C coded. The movie is provided with a 1080p/AVC MPEG-4 transfer in the 1.85:1 aspect ratio. Despite some minor inconsistencies, this is a pleasingly filmic image marked by potent cinematic style. Shot on film, the source is in pristine shape with a light to moderate layer of natural grain visible throughout. With that said, grain does spike during a few darker shots and while seemingly authentic to the director's intentions, the photography can have a faintly fuzzy quality to it. Overall clarity, however, is still very strong, especially during bright outdoor scenes set throughout the idyllic Italian locations which offer a great sense of depth and fine texture in leaves and clothing. Colors are also nicely saturated, with a palette marked by rich greens and yellows. A fun sequence set at an outside dance club is particularly vibrant, bathing the screen with purple and blue lights. For the most part, contrast is nicely balanced, but some indoor and nighttime sequences can appear a little dim and flat with slightly elevated blacks that get a tad muddy in the shadows. There are some minor irregularities, but by and large, the transfer appears authentic to the source with an often gorgeous picture. The film is presented with an English DTS-HD MA 5.1 track, along with optional English SDH, English, French, and Spanish subtitles. Modest yet quietly immersive, the mix bolsters the film's wistful tone very well. Speech is clean and crisp throughout with no quality or balance issues. Though subtle, the soundstage offers a delicately enveloping sense of atmosphere, spreading birds, wind, ringing bells and other background effects throughout the room, creating gentle but effective layers of texture for each location. Directionality and imaging are always natural, organically transitioning and positioning effects from speaker to speaker when called for. Surround use is restrained, but the side speakers do carry appropriate ambience. LFE is understandably muted considering the film's genre and style, but bass does perk up during a dance scene and a rainstorm. Likewise, the score's mix of classical compositions and beautifully produced original pop songs by Sufjan Stevens comes through with fantastic separation and fidelity. Call Me By Your Name won't be giving anyone's home theater system a true workout, but the artistically measured sound design offers a surprisingly compelling sense of space and environment. Sony has included a nice selection of supplements, offering a commentary and some worthwhile interview material with the cast and crew. All of the special features are presented in 1080p with Dolby Digital 2.0 audio. Commentary with Timothee Chalamet and Michael Stuhlbarg – The actors offer a soft-spoken, relaxed track with a steady stream of insights into the production and story, touching upon everything from wardrobe choices and on-set anecdotes to details about the font used in the main titles sequence. Though not always the liveliest discussion, this is a worthwhile listen for fans of the film. Snapshot of Italy: The Making of Call Me By Your Name (HD, 11 min) – Here we get some cast and crew interviews discussing how the project got off the ground, along with insights into the film's themes, central relationship, music, casting, and visual style. Brief but informative, this is a solid inclusion. In Conversation with Armie Hammer, Timothee Chalamet, Michael Stuhlbarg, and Luca Guadagnino (HD, 25 min) – This is a great Q&A session with the cast and director following a screening of the film. The participants elaborate on the characters, casting, final shot, and Stuhlbarg's much celebrated monologue. "Mystery of Love" by Sufjan Stevens (HD, 4 min) – A music video for the film's original song is presented with clips from the movie. 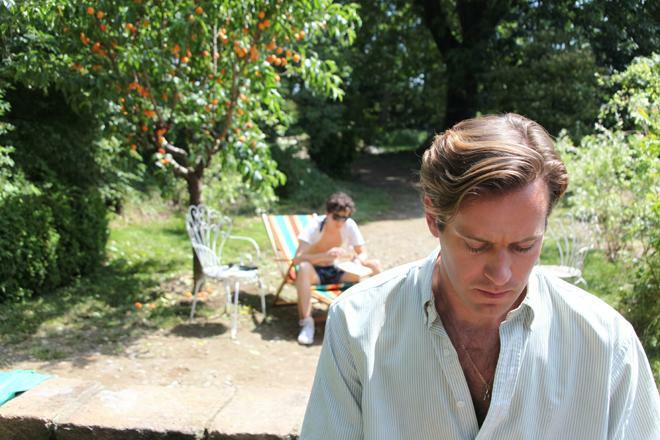 Luca Guadagnino's Call Me By Your Name is a bittersweet and deeply poignant tale of love and growth. Beautifully realized through affecting performances and a quietly striking cinematic style, the film leaves a lingering impression. From a technical standpoint, the video and audio presentations are both good. Likewise, the included commentary and featurettes offer many worthwhile insights. Highly Recommended.